PS. 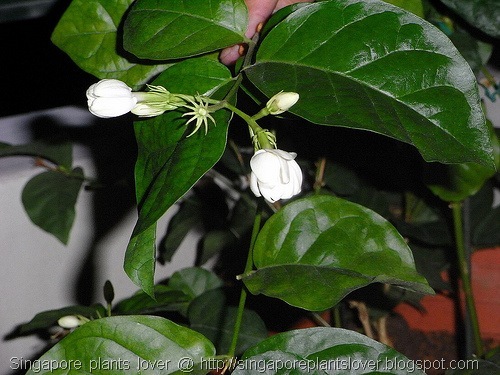 As many friends asking me where to buy potted jasmine flowers in Singapore, here is the link: Plant Gifts. Cheers, Hope you get your favourite. Shadow Shot Sunday again, my jasmine flowers are blooming again…Jasmine flowers are quite difficult to plant in our HDB area. It requires direct sunshine to grow well. It is always attacked by whitefly, mealy bugs and spider mites. The potted Jasmine plant was given by my friend in a small plastic pot, with a few leaves only. I am famous as a “green finger” among our friend’s, they always past to me those plants which are going to die…I will be very happy to see the plants have a new life in my house, just like this jasmine. Nothing is impossible, as long as we are willing to try. I learn to see things from the plant’s point of view. Photo below was taken in a flowers wholesale market in Shanghai. I just couldn’t bear to leave this pretty jasmine flowers at that time. Well, I don’t have so many jasmine plants, one pot of jasmine plant with flowers is more than enough for me to enjoy my life. So now, it is my time to smell Jasmine flowers, I wish all of you could share my happiness too. Oh my goodness! Never seen so many jazmine flowers together. They almost look like lily of the valley in the crate. The fragrance must be amazing. hi there, my name is Jackson. i am interested in getting a pot of jasmine and wish to know more about jasmin planting. do get back to me @ halohaa_85@hotmail.com. Hi, I am interested in getting the flowers you've. can you snd me a mail at nicktan77@yahoo.com.sg? Hi i would love to get some jasmine flowers as well can you contact me @ tplsp1991@gmail.com ? Hi i would love to get some jasmine flowers, can you pls contact me: vincentngoh@yahoo.com ? 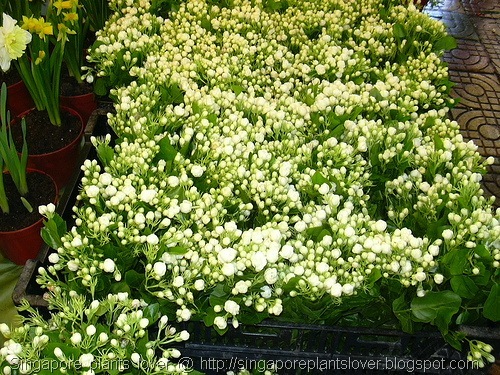 Hi i would love to get some pots of jasmine flowers, can you pls contact me: vincentngoh@yahoo.com ?